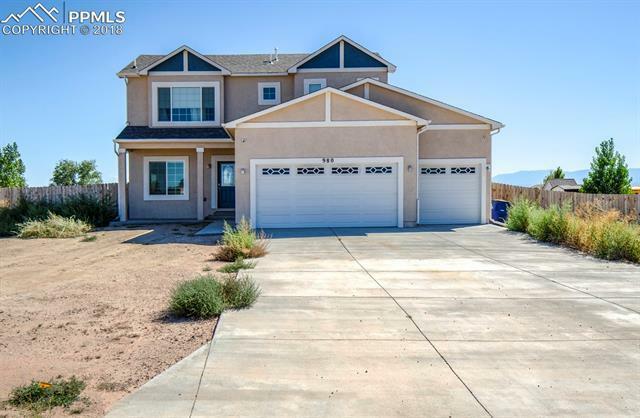 THIS BEAUTIFUL HOME IN PUEBLO WEST SETTING ON A CORNER LOT OVER AN ACRES BIG IS A MUST SEE**** THE HOME HAS 4 BEDROOMS 4 BATHS AND 3 CAR GARAGE. BASEMENT ALREADY HAS A FULL SIZE BATH ROOM AND IS READY TO BE FINISHED TO YOUR DESIGNING. HOME HAS GRANITE COUNTER TOPS, MOUNTAIN VIEW, STAINLESS APPLIANCES AND A COVERED PATIO GREAT FOR ENTERTAINING.